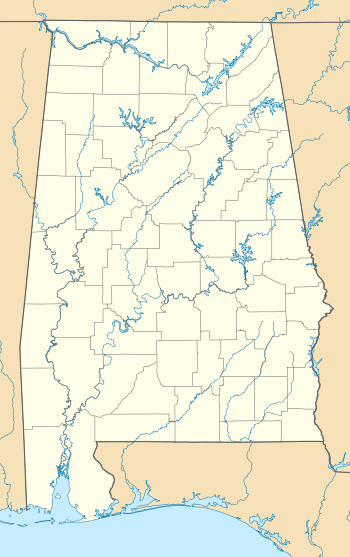 Dexter Avenue Baptist Church is a Baptist church in Montgomery, Alabama, United States. The church was designated as a National Historic Landmark in 1974. In 1978 the official name was changed to the Dexter Avenue King Memorial Baptist Church, in memory of Martin Luther King Jr., who helped to organize the Montgomery Bus Boycott in the church's basement. The church is located steps away from the Alabama State Capitol. 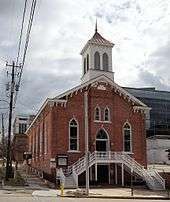 The Dexter Avenue Baptist Church congregation was organized in 1877 and was first known as the Second Colored Baptist Church. The church trustees paid $270 on January 30, 1879 for a lot at the corner of what is now Dexter Avenue and Decatur Street. The first church building was a small wood-frame building, it began to be replaced by the current structure in 1883. The new brick building was not completed until 1889. 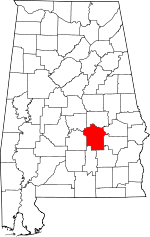 The church began serving the broader African American community on October 3, 1887 when it hosted the first registration of students for Alabama State University. This community service continued into the 20th century with activities associated with the American Civil Rights Movement. In 1899, Selma University cofounder William H. McAlpine became pastor. Vernon Johns, an early leader of the Civil Rights Movement, served as pastor from 1947 to 1952. He was succeeded by Martin Luther King, Jr., who was pastor of the church from 1954 to 1960, and organized the Montgomery Bus Boycott from his basement office. Near the church is the Dexter Parsonage Museum, which served as home to twelve pastors of the church between 1920 and 1992. The church was added, on its own merits, to the National Register of Historic Places in 1982. 1 2 "Dexter Avenue Baptist Church". National Historic Landmark summary listing. National Park Service. 2007-09-18. 1 2 "History". Dexter Avenue King Memorial Baptist Church & Parsonage. 2008-12-24.